Bryant Park is the other big Christmas Tree in New York City. 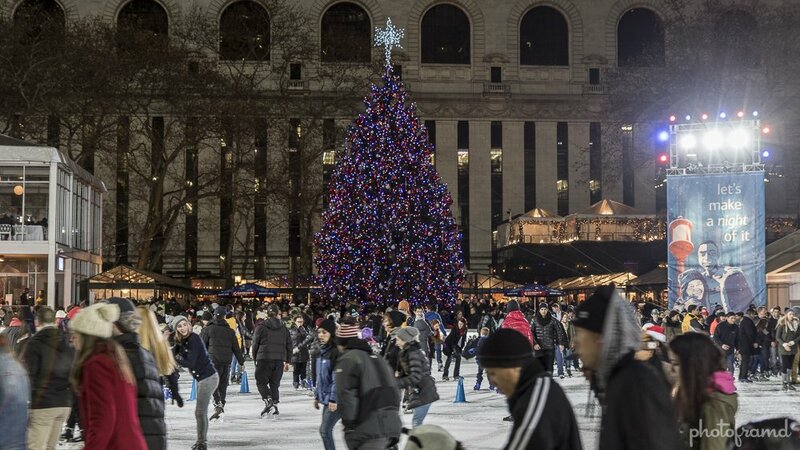 Even with all the skaters and the people watching, it is still less crowded than Rockefeller Center. Bryant Park also has a great Shopping Area with almost 100 outdoor stores.